SQUARE ENIX® have revealed NieR® New Project (temporary name), a new third-person action role-playing game (RPG) and follow-up to the 2010 cult hit NieR. 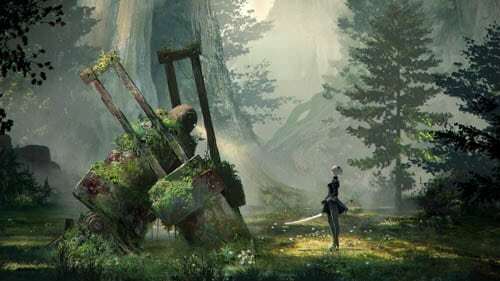 Offering a fresh blend of action and RPG gameplay styles, NieR New Project is currently being developed in collaboration with PlatinumGames Inc. exclusively for the PlayStation®4 computer entertainment system. A new trailer unveiled at the SQUARE ENIX E3 press conference showcases the new visual direction of NieR New Project.